is reviewing the status of the Florida Panther. The Trump Administration's U.S. 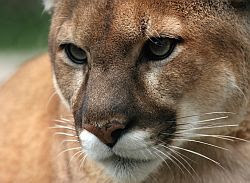 Fish and Wildlife Service is reviewing whether or not to keep the Florida Panther's endangered status under the Endangered Species Act. But Sierra Club attorneys say the government's flawed population estimates are far too high. The Florida Panther has been on the federal endangered list since the list began in 1967. There were only 20-30 panthers in the mid-1990s, when Texas cougars were brought in to mate. Sierra Club in comments said the best available scientific information shows that the Panther population was at most 139 in 2015. It also says the U.S. Fish and Wildlife's estimate of up to 230 panthers is based on incorrect methodology and according to the best available scientific information, there is only one panther population, not the two required for downlisting. Meanwhile, in 2015 and 2016, 84 were killed, mostly on roads. So far, 22 panthers have died this year, 17 by vehicles. Don’t let Governor Scott’s South Florida Water Managers Throw Our Water Away! Join the effort: Don’t let Governor Scott’s South Florida Water Managers throw away water needed for drinking, Everglades Restoration and agriculture! Organizations and businesses from the Panhandle to the Keys are joining together to send the Governor a clear message: Deep Injection Wells within the Lake Okeechobee Watershed are contrary to Everglades Restoration. The below sign-on letter is being distributed now to gather more signatures from organizations and businesses so that the letter can be sent to Governor Scott before the South Florida Water Management District (SFWMD) Governing Board takes its plan to flush away billions of gallons of fresh water in Deep Injection Wells (DIWs) any further. TO SIGN THE LETTER: Send your organization (or business) name, and the name and title of the representative signing for your organization/business, directly to cris.costello@sierraclub.org by close of business on Wednesday, September 6. Please also forward this sign-on opportunity to any other organization or business you know that may be interested in getting involved. You can also access the letter here. • The use of DIWs is inconsistent with the goals of Everglades Restoration. DIWs are not a component of any project in the Comprehensive Everglades Restoration Plan (CERP). DIWs do not help restore the flow of clean water through the Everglades ecosystem. • DIWs would divert state dollars needed to implement other Everglades restoration projects, including the acquisition of land both north and south of Lake Okeechobee to restore wetland habitats and to eventually send clean water south to the Everglades, Biscayne Bay and Florida Bay. 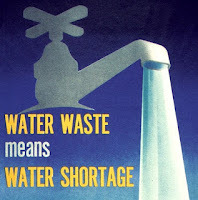 • DIWs in the LOW would permanently remove billions of gallons of freshwater from the regional water budget. Florida has faced drought conditions several times in the past few years and is likely to again and again. Once disposed of, the water would be unavailable for ecosystem protection and Everglades restoration during dry and drought conditions. This freshwater is also needed to replenish rivers, wetlands, and the aquifer for millions of Floridians, and to lessen the impacts from rising sea levels and fight saltwater intrusion that pollutes and shuts down potable water wells. • According to estimates presented by SFWMD in February 2017, implementation of DIWs would cost or exceed the cost of $1 billion dollars. Annual operation and maintenance costs will raise the actual budget for DIWs beyond SFWMD’s construction projections. That is a significant amount of public state funding diverted to a project that will offer no beneficial uses of water to people or the environment, particularly south of the Lake. • According to information presented during Project Delivery Team (PDT) meetings, there is relatively little geologic information in the LOWP area. In fact, according to a 2007 desktop-study prepared for SFWMD, “the presence of appropriate hydrogeologic conditions for development of injection wells is less certain in areas north and immediately east of the Lake Okeechobee. Most of the areas considered for locating injection wells have little existing data regarding hydrogeologic conditions of the Boulder Zone or its confining layers. This report also states that “the transmissivity of the Boulder Zone is highly variable. It is related to the thickness and lateral extent of the cavernous zones and the related intensity of fracturing. In areas near the Lake, the transmissivity of the Oldsmar formation cannot be confidently estimated without testing.” It is very risky to depend on DIWs in this region; the state would be gambling taxpayer dollars on a project that may fail to provide its expected benefits. • There are valid concerns over vertical cross-contamination from upward migration of injected untreated water to the overlying Upper Floridan aquifer, especially given the uncertainties about the hydrogeology at this depth and location. The upward migration of DIW water can contaminate the Upper Floridan Aquifer which is being used as a source of potable water supply in many regional water supply utilities. Groundwater contamination clean-up in the Upper Floridan would be cost-prohibitive. • Injected water from DIWs has been found to move laterally into the nearshore ocean reefs causing pollution and harmful algal blooms. Whether or not this might displace water that could create harmful seepage of ground water and fresh water into surrounding oceans has yet to be answered. • While DIWs (approximately 180) are currently being used to dispose of wastewater or wastewater byproducts in Florida, DIWs have never been implemented at the scale and density being considered by the SFWMD; nor have they been used to dispose of fresh surface water. The long term implication of disposing of such large amounts of untreated water into the Boulder Zone is unknown. • The disposal of freshwater from the surface ecosystem via DIWs will not help the natural carbon sequestration (capture) processes that come from protecting and restoring wetland habitats, such as mangroves. • The operation of DIWs will be energy-intensive, requiring pumps that run on fossil fuels to pump millions of gallons of water per day, per well, for an unpredictable number of days to months per year. This operation would increase the release of carbon into the atmosphere from the burning of fossil fuels. Dania Beach, Fla. – On Friday August 25, Sierra Club Florida and U.S Representative Debbie Wasserman Schultz (D-Weston) recognized the mayors of four South Florida cities for taking a courageous lead in reducing greenhouse gas emissions and protecting public health in the global fight against climate change. 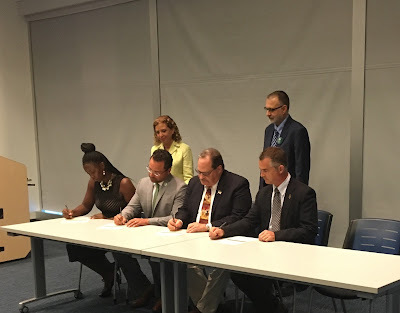 Broward Mayors Tamara James, City of Dania Beach; Josh Levy, City of Hollywood; Greg Ross, Cooper City; and Daniel Dietch, Town of Surfside Mayor in Miami-Dade signed The Sierra Club’s Mayors for 100% Clean Energy Declaration supporting a vision of 100% clean and renewable energy in their cities. 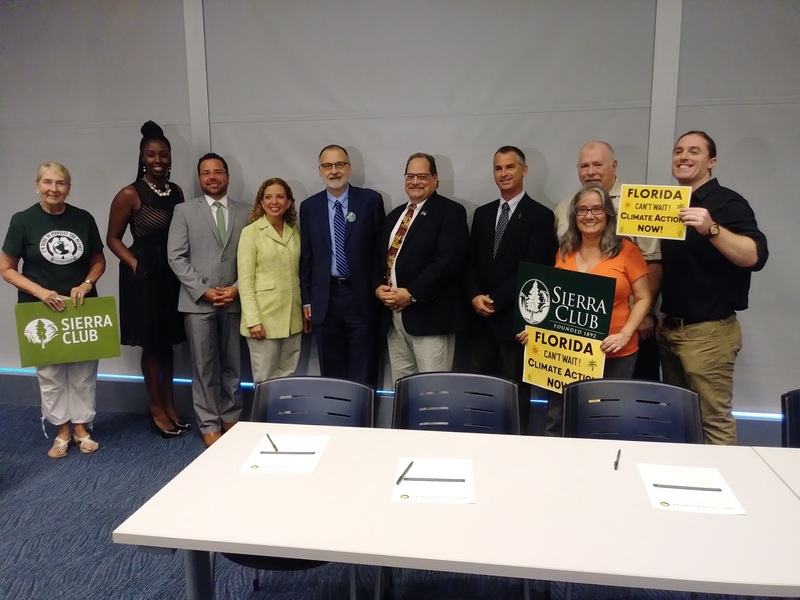 Mayors (left to right) Tamara James, City of Dania Beach; Josh Levy, City of Hollywood; Greg Ross, Cooper City; and Daniel Dietch, Town of Surfside, with U.S. Representative Debbie Wasserman Schultz and Sierra Club Florida Chapter Director Frank Jackalone behind them. Congresswoman Schultz lauded the mayors for filling a leadership vacuum. Mayor Josh Levy, City of Hollywood, covered some of the sea level rise challenges facing the coastal city of Hollywood in addition to his optimism that emission reduction technologies are now available to help create real climate change solutions. “I’m excited solutions are coming from industry, it’s coming from residents, it’s coming from our cities. Those of us who understand the impacts to ourselves, our economies, and our lives are taking leadership to ensure we all move as one and together to continue to have a world that is livable for generations to come” said Mayor Levy. Mayor Daniel Dietch, Town of Surfside, said “addressing climate change is a leadership issue, not a partisan issue.” He reiterated that local leadership on climate change issues can guide the nation as a whole towards a more sustainable economy and future. The mayors joined a growing body of 150 mayors throughout the country who are addressing climate change by providing for lower energy costs, improved public health, and new stable clean energy jobs for the residents of their cities. Sabal Trail pipeline under construction in Florida. Photo by John Moran. Last week, the D.C. Circuit Court of Appeals rejected the Federal Energy Regulatory Commission’s (FERC) attempts to downplay the massive climate impacts of the Southeast Market Pipelines Project, a $3.5 billion project that includes the 515-mile Sabal Trail pipeline. FERC and the pipeline companies argued that even though the project’s purpose is to transport fracked gas through Alabama and Georgia to Florida power plants, FERC nonetheless could ignore the greenhouse gas emissions from burning the gas at those plants. In a 2-1 decision, the court agreed with the Sierra Club and its partners that FERC’s refusal to analyze these “downstream” emissions—an entirely foreseeable result of constructing the pipeline—violated the National Environmental Policy Act (NEPA). The court vacated FERC’s approval of the project and remanded to the agency with instructions to prepare an environmental impact statement consistent with the court’s opinion. FERC is the “legally relevant cause” of the climate-altering emissions because it has the power to deny a pipeline based on harm to the environment. 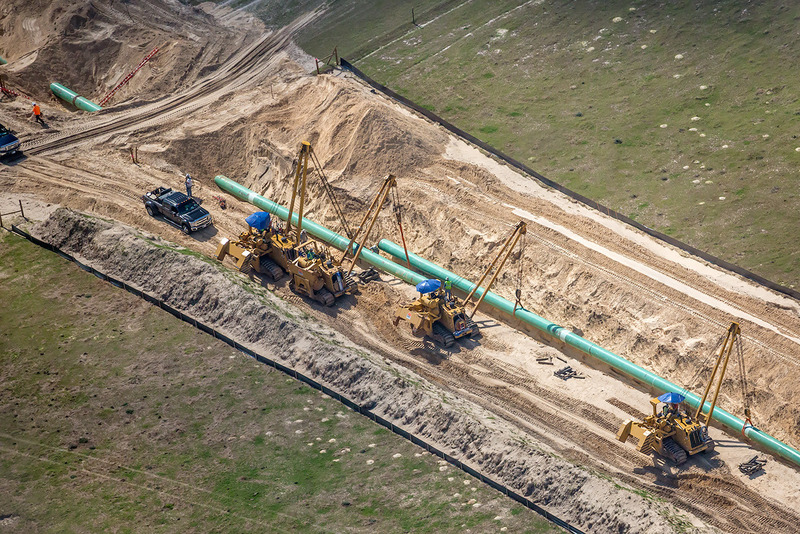 FERC has estimated that the pipeline will transport 1.1 billion cubic feet per day of gas, and can use this number to estimate greenhouse gas emissions from power plants. Even if the power plants are subject to state or federal greenhouse-gas regulations in the future, such requirements cannot substitute for a proper NEPA analysis (citing a landmark NEPA case from 1971). The court concluded that FERC “should have either given a quantitative estimate of the downstream greenhouse emissions that will result from burning the natural gas that the pipelines will transport or explained more specifically why it could not have done so.” The court further noted that the environmental impact statement needed to include a discussion of the significance of the downstream greenhouse gas emissions, as well as their cumulative impact. Finally, the court directed FERC to explain, in its new EIS, whether it still maintains that the “social cost of carbon”—a valuable tool that places a dollar value on the harm caused by each ton of carbon emitted—is not useful for NEPA purposes, and why. The decision is a significant victory for pipeline opponents, with far-reaching consequences for gas pipelines and other fossil fuel projects that require federal approval. And while Trump tweets that climate change is a hoax and cynically attempts to eliminate climate considerations from federal decision making, the court’s opinion—authored by a George W. Bush appointee—signals that the courts will hold agencies to their NEPA obligations. Communities of color and low-income communities are disproportionately exposed to environmental hazards and routinely bear the brunt of harmful impacts from polluting industrial facilities. For pipeline projects, those impacts include pipeline ruptures, construction impacts, groundwater contamination, and noise and air pollution from massive compressor stations. A staggering 83.7 percent of this pipeline—or approximately 574 miles—runs through or within a mile of environmental justice communities. And the compressor station in Albany, Georgia—a huge industrial facility that would release hundreds of thousands of tons of air pollutants each year—is slated to be constructed in a neighborhood that is more than 80 percent African American (watch community leader Gloria Gaines discuss the Albany compressor station). As members of Georgia’s congressional delegation pointed out to FERC before the pipeline was approved, these communities are already overburdened with polluting facilities. FERC nonetheless concluded that the project’s impacts would not disproportionately fall on environmental justice populations. While recognizing the “grim statistics” regarding the overburdened nature of these communities, and noting that it is “sensitive to Sierra Club’s broader contention that it is unjust to locate a polluting facility in a community that already has a high concentration of polluting facilities,” the court declined to overturn FERC’s analysis. As is frequently the case, here the pipeline companies are corporate affiliates of the utilities that have contracted to purchase the gas. Instead of sacrificing our communities and environment to build unnecessary pipelines that “set up surefire profits” for pipeline companies at the expense of captive ratepayers, the focus should be on transitioning to clean renewable energy and energy efficiency—especially in the Sunshine State. Forcing federal agencies to grapple with the true climate impacts of dirty fossil fuel projects is a big step in the right direction. Listen to Sierra Club attorney Elly Benson discuss the ruling on the Daily Journal’s appellate law podcast.